The social studies department selected the most recent students of the month at Palmyra High School. From left: Chloe King, eighth grade, Randi Buchanan, ninth grade and Rebekah Allen, eleventh grade. 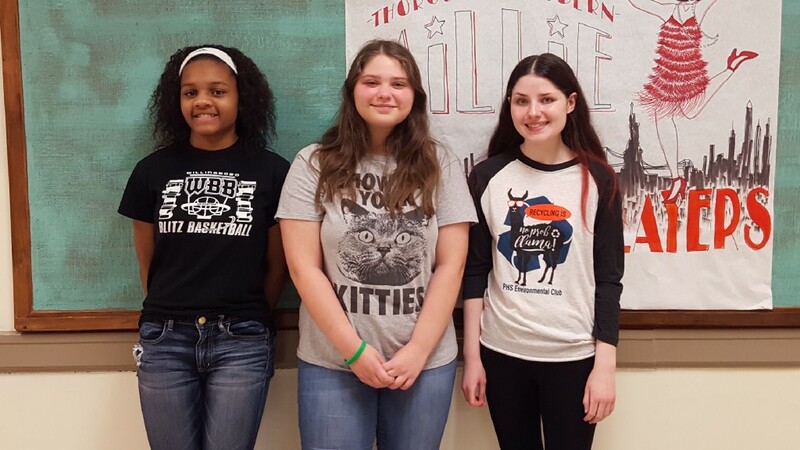 Palmyra High School has selected their March students of the month. As chosen by the social studies department, they are eighth grader Chloe King, ninth grader Randi Buchanan and eleventh grader Rebekah Allen. The March students of the month were announced at the April 12 Board of Education meeting.